The tire manufacturer Pirelli says it the best: “Power is nothing without control.” Granted, Pirelli is talking about the tires that glue your Porsche to the road, but your brakes are arguably the most important aspect of controlling your vehicle beyond the steering wheel. After all, if your Porsche is capable of reaching fast speeds very quickly, shouldn’t you have the ability to brake just as fast? Hitting the brakes and realizing that they’re not properly working is nothing short of absolutely terrifying. 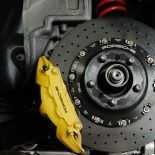 Depending on how often you drive, Porsche recommends that you flush your Porsche brakes and get your brake fluid replaced every two years. 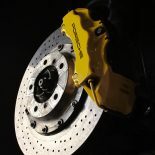 Beyond how often you drive your vehicle, swapping and flushing your brake fluid can also depend on how hard you’re braking. Taking your 911 Carrera Turbo for an amateur track day and really giving it the gas? This means that you’ll be slamming on the brakes fairly hard as compared to normal in-city or even highway driving. Sure, your brakes might constantly be applied when you’re navigating our notorious L.A. traffic on the 101, but you’re not braking coming from high speeds in those situations. In other words, the more you push your Porsche, the better you’ll need to take care of it — and the more often you’ll need to get services like a brake fluid flush service from HOUSE Automotive. 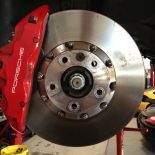 Don’t wait until your brakes start to sound squeaky, “grindy” (like metal on metal — the thought of this noise makes our independent Porsche mechanic team cringe! ), or just flat out aren’t working as they’re designed to work. 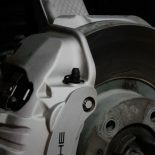 Save yourself the trouble of costly and major brake repair jobs down the road and read a little more below about the importance of regular brake fluid flushes from our independent Porsche repair shop. Again, a brake fluid flush service is recommended by Porsche™ every two years. Over time water molecules get inside the brake reservoir and breaks down the chemicals. The brake fluid also absorbs water from the atmosphere, lowering its boiling point and causing corrosion, particulate contamination, microscopic particles of rust and rubber accelerating the wear of very expensive brake components. This is why Porsche recommends fully flush your brake system every two years. Reach out to HOUSE Automotive today if you have any questions.